Tooth loss, fractured jaw bones, or cuts to the mouth and face are especially difficult for a person to cope with. People are often nervous and upset, and faced with long waiting times at emergency rooms. In addition, the hospital may not even have the right specialist on staff to treat oral and facial injuries. Tooth fracture involving enamel only or extension into dentin, or deeper structures. Teeth that are knocked or pushed completely out of the socket are referred to as luxation. Facial fractures may involve lower or upper jaws as well as cheek bone, eye bone, nasal, and forehead regions. Jaw fractures may also involve segments containing teeth and other oral structures. As member of the trauma team at the Suburban Hospital, we manage all oral and facial injuries. Jaw fractures may involve the upper (maxilla) or the the lower (mandible) jaws. Cheek bone fractures are referred to as ZMC (zygomatico-maxillary complex) fractures. When displaced, the cheek bone will appear flat and sunken. Other midfacial fractures include nasal and orbital (eye bone) fractures. 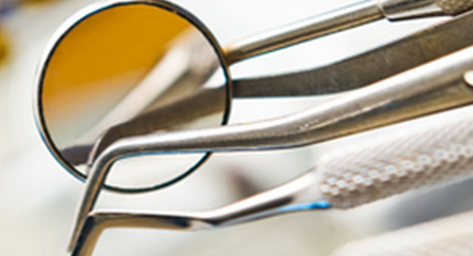 We manage all lacerations or cuts to oral and facial structures. Utilizing plastic closure techniques, lacerations are carefully repaired to optimize healing and minimize scarring.